The Niger Delta conflict is one created and exacerbated by the oil and natural gas riches of the region. Great hydrocarbon wealth has been extracted over the past decades, yet Delta residents continue to live in underdeveloped and polluted circumstances. This situation has fueled widespread, and often violent, conflict within the region. While the Nigerian government has made attempts to resolve the conflict, most recently with the 2009 amnesty program, these attempts have repeatedly failed. This essay will discuss these failures, as well as present a set of initiatives for the Delta that, together, represent a possible path for regional rejuvenation. The June 2009 amnesty program for Niger Delta militants offered by former Nigerian President Musa Yar’Adua represented an opportunity to stabilize the region for constructive conflict resolution negotiations. 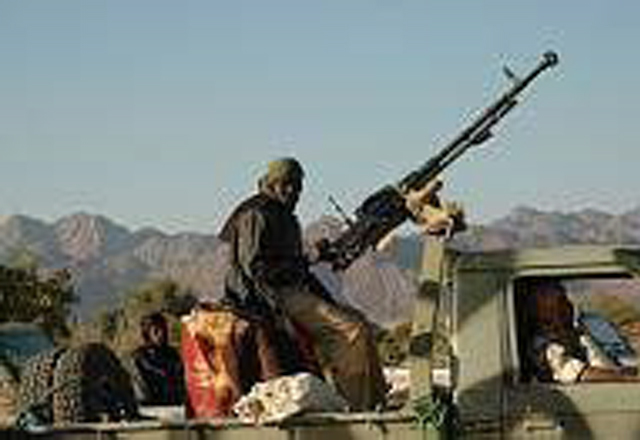 It was not the first time, however, that an amnesty initiative had been put forward to resolve the violence in the region. Yet it did seem to be an offer backed with solid proposals for the necessary disarmament, demobilization and reintegration of the region’s militants. Despite this the program was not able to assuage regional violence, largely due to the lack of attention to the peculiar type of conflict in the Delta. Thus, in order to fully appreciate the task of conflict resolution there, it is important to look at past attempts at conflict resolution as well as ideas for the future. In the coming years, the Delta may yet be stabilized and transformed into a region suitable for economic, social and political development. In order to fully understand how best to address the possibility of future widespread violence in the Delta, it is important to first recognize the particulars of the conflict facing the Nigerian government. Simply, the conflict is one created and exacerbated by the oil and natural gas riches of the region. Hydrocarbon resources are the engines for Nigeria’s economy, as oil provides 95 percent of Nigeria’s foreign exchange earnings and 80 percent of the government’s budgetary revenues. Yet the vast majority of the Delta’s 30 million residents live with only the negative effects of oil and natural gas production; the environment and its degradation are daily features of life for many. This, in turn, has fueled decades of cyclical conflict that continues to devastate the region. The petroleum industry is, globally, a dirty industry. Nigeria is no exception. Owing to the wealth of oil and natural gas under their feet, the Delta constitutes some of the “richest real estate” on the African continent.1 Yet despite this wealth, the region has degenerated into a “severely impaired coastal ecosystem” suffering from “damage from oil operations [that] is chronic and cumulative.”2 The pollution from petrochemical exploration, extraction and refining poses a constant threat to those whose livelihoods have not yet been disrupted. Rural residents live with “no real development, no roads, no electricity, no running water and no telephones” while only scraping by economically.3 Historically, Delta residents have engaged in farming and fishing as principal sources of household income, livelihoods for which a healthy and productive environment are critical. As the environment continues to be polluted, the traditional means of economic activity in the region continue to dwindle; there are few, if any, opportunities in their place.4 Compensation, clean-up and monitoring practices – whether public or private – continue to be lackluster and hardly effective. Thus, economic discrimination – including the marginalization of poverty, the creation of national sacrifice areas and a high level of international dependence – has become a pervasive aspect of life for Delta residents.5 In response to their common challenges, communities have bonded with “considerable coordination” in order to strengthen the “quality, intensity and extent of articulation, aggregation and expression of demands… for equity and justice.”6 In the Delta, as in other regions of Africa, this organization has culminated in the growth of a nascent civil society that seeks to address the claims of Delta residents against both the Nigerian government and multinational oil companies operating in the region.7 Many of these groups are peaceful organizations seeking redress through legitimate channels. Others, however, act through violence and function in a world of gross illegality that further intensifies the conflict. The vast majority of the Delta’s 30 million residents live with only the negative effects of oil and natural gas. The Nigerian government is severely handicapped in addressing the demands of these groups. The country is a fragmented collection of over 250 ethnic groups, with each holding “certain basic political orientations” as well as an “unwillingness to alter” those orientations.8 Public attitudes and political culture are vehemently localized; history, language, culture, religion and political values stem from communal rather than national experience. Coupled with the country’s history of military rule, the situation is one where Abuja views political pluralism as a “weapon of potential destruction” rather than a force for good.9 The Nigerian state remains fundamentally weak and thus continues to be unable to adequately perform for its citizens, particularly for those in the Delta region. Despite their geographic separation from the problem, Nigerian officials have consistently been faced with pressure to resolve the Delta conflict. The past efforts of a confounding series of panels, reports and commissions have overwhelmingly sought to address the root causes of conflict in the region and facilitate a situation in which substantive conflict prevention can take place. Two specific reports – the 2001 Ogomudia Report of the Special Security Committee on Oil Producing Areas and the 2004 Niger Delta Regional Development Master Plan – are expressive of both the government’s historical focus on trying to resolve the Delta conflict and its glaring inability to do so. As the security situation in the Niger Delta began to deteriorate at the turn of the century, the Special Security Committee on Oil Producing Areas was set up so that the Nigerian government could, in the words of the panel, “beam a search light on the oil producing areas in the quest for a solution” to the region’s deteriorating situation.14 The resulting Ogomudia Report, released in 2001, comprehensively presented a proposed series of graduated steps with a heavy emphasis on ownership of problems by all involved. Yet it accomplished no tangible gains in the region; the political will in Abuja was simply not present at the time. The 2004 Niger Delta Regional Development Master Plan was a second major attempt by the Nigerian government to address the situation in the Delta. Put forward by the Niger Development Commission, the plan was based on a careful examination of the day-to-day needs of Delta residents. The report sought a comprehensive “package of cross-sectoral, mutually supportive measures” that would effectively address the Niger Delta’s challenges while taking full advantage of the region’s opportunities.15 The plan rightly focused on wealth creation, employment generation, poverty reduction and value re-orientation, facilitated by an expansion of the private sector, the introduction of governance reforms and the development of a social development charter. Recognizing that previous reports were nothing but hollow political acts, the plan offered a specific funding schedule through 2020 and outlined the contributions needed from government and the private sector. It had, however, little effect in reaching its goals. Both the 2001 report and the 2004 plan expressed the government’s belief that the resolution of the underlying causes of conflict in the region – socio-economic marginalization, lack of adequate services and infrastructure, and governance issues – could act as a viable conflict prevention mechanism for the Delta. Yet only surface attempts at preventing conflict were achieved. The lack of progress can be attributed to the fact that the litany of reports, plans and committees have not adequately addressed the issue of militarism in the region. Without first addressing militarism, there can be little hope that proposed economic and political initiatives would be able to take root and develop into solutions. Militarism is the violent culmination of “popular responses to economic mismanagement, economic marginalization and crime waves,” which have historically been “prolific and controversial.” 16 This is particularly true in regards to the emergence of youth-led, identity-based social groups. Social movements are a powerful force within the region, and the primary antagonists in the Delta are those whose leadership is dominated by militia and paramilitary members. As the environmental crisis destroyed the economic prospects of many young Delta residents, the ranks of these social groups swelled with youth seeking both recourse for grievances and group solidarity. Since these groups are responsible for the majority of violence and illegal activities in the region, any conflict prevention efforts must address their allure to Delta residents. In order to address this fundamental obstacle to development in the region, in June 2009 then-President Yar’Adua announced a policy of amnesty for any and all Delta militants, to last from August 4, 2009, until October 4, 2009.17 The offer of amnesty, and the subsequent plan for the disarmament, demobilization and reintegration of the militants, was widely accepted within the Delta. A daily food allowance, monthly stipend, the promise of professional education and training, and the personal involvement of the president all contributed to the appeal of the amnesty proposal.18 What should have been cause for celebration, however, was instead darkened by the memory of the historical failings of the government to follow through on its promises and obligations. Unsurprisingly, the amnesty program was derailed by allegations of corruption regarding the handling of funds meant for former militants. A key militant group in the region, the Movement for the Emancipation of the Niger Delta (MEND), declared the ceasefire over in January 2010, less than six months after the amnesty program was implemented. In March 2010, MEND went further, claiming responsibility for two bombs exploding adjacent to a government building in the city of Warri. The group succinctly stated its position with the announcement that the “deceit of endless dialogue and conferences will no longer be tolerated.”19 Abuja had again failed, further eroding faith in government and leading to a renewal of violence. Socio-economic and political marginalization represents a significant “trigger cause” for conflict “by deepening and expanding the feeling of relative deprivation among the people, and making the tool and means for confrontation… readily available.”24 While militias and other “modes of collective youth action” grow from the “topdown modes of governance and bottom-up responses to disorder,” the level of socioeconomic marginalization in the region also represents a significant causal factor.25 By giving disenchanted youth education, access to basic services and economic opportunity, there would be a significantly lower appeal for opportunistic activities such as kidnapping, oil bunkering and the pursuit of general violence. A lack of consideration for economic empowerment of the youth population is a grave mistake; youth will soon be young adults, and without legitimate opportunities they will be young adults easily recruited into a new generation of militancy. Related to this point is an emphasis on graduated development in the Delta. Since resolving the basic issues will likely be a series of long-term initiatives, special emphasis on short-term projects with immediate results should be pursued as ‘good faith’ measures. This would not only jump-start regional development, but would also galvanize popular support among residents who would see quick results that positively impact their everyday lives. Yet although shortterm projects can facilitate popular support by providing residents with an immediate tangible impact, these must be successively built on by later projects. The 2001 Ogomudia Report and the 2004 Master Plan discussed above have an appreciation for this fact. Each incorporates a tiered development process that, in addition to allowing the cost of development to be extended over time, would allow authorities to periodically reevaluate circumstances and adjust development plans accordingly. In the Delta, this is an especially important aspect of development because environmental, political and communal circumstances can rapidly change the situation in which development is taking place. Graduated development allows officials to refocus resources and attention as time goes on, since what was planned in the past may not be relevant, necessary, or desirable in the present.